Lost in the forest, Keturah meets a black-caped man astride a black stallion - Lord Death himself. To save her life and the lives of the villagers, threatened by the coming plague, she makes a bargain with Death. Like Scheherazade of the Arabian nights, Keturah tells Death a story, and promises an ending ... tomorrow or until she finds her one true love. Wonderfully haunting, hypnotic, and romantic, this is a story to be treasured. When fifteen-year-old Mary de Holt learns that she must wed an elderly widower, she immediately decides to run away. Lost in the woods, she encounters the Forestwife, who teaches her the ways of healing. She also gives Mary a new name: Marian. They are soon joined by other women, victims of cruel and unfair laws. Necessity turns Marian and her women into outlaws who do battle against injustice. They are aided by Robert of Loxley, soon to be known as Robin Hood. A creative retelling of the Robin Hood story, with the focus on Maid Marian. The strong, capable female characters are definitely worth meeting. These women are far from helpless and in need of rescuing. They plan and execute their own daring deeds with bravery and fearlessness. Marian also saves Robert several times. A very satisfying novel, with the right mix of adventure and romance. Fourteen-year-old Brian is having a terrific summer. He managed to land his dream job: batboy for the Detroit Tigers. Plus, he just found out that his number one hero, Hank Bishop, has joined the team. But Bishop turns out to be not-so-nice, and Brian must struggle with his feelings of disappointment and loyalty. When Bishop and Brian, who also plays on a little league team, both struggle with hitting slumps, they find a common ground, and learn to deal with their own expectations. Keith "Hutch" Hutchinson was forced to cede his shortstop position to hot-shot Darryl Williams. Hutch tries to be a good captain, but his anger and resentment are getting in the way. He tries talking to his father, an ex-player, but his dad never seems interested. So when his dad betrays him, Hutch's reaction threatens his team's chances at the state championship. Both Brian and Hutch have to deal with distant fathers and fallen heroes. But with supportive teammates and lessons learned on the field, they come to accept all of life's twists and turns. With honest emotion, snappy dialogue, and exciting game action, Mike Lupica's stories really capture the joy of baseball. Paige's story is told from the point-of-view of a young baseball player who managed to get a hit off the great pitcher. Many years later, he takes his son to a game between Paige's All-Stars and the Tuckwilla, Alabama Stars. In between, the novel tackles the issues of racism, cruelty, and segregation, and how Paige fought against it. With a minimum of prose, this is a different take on baseball history, one that should be read in addition to any other book (of which there are many) about Satchel Paige. A rhyming counting book that introduces readers to Swahili names and numbers. 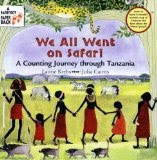 Also provides information about African animals, the Maasai people, and facts about Tanzania. The delicate illustrations may be old-fashioned, but this is one of the few counting books that go up to twenty. The pages are bordered with intricate garlands of flowers, a Tudor trademark. Tasha Tudor believed that she was the reincarnation of a sea captain's wife who lived from 1800 to 1840. She tried to emulate this earlier life by living in the past. She raised her own farm animals, grew flax to turn into clothing, and reared 4 children in a home without electricity or running water. Her rustic and sentimental artwork is similar to that of Beatrix Potter and Kate Greenaway. Tudor is best known for her work on The Secret Garden, by Frances Hodgson Burnett. Tasha Tudor died in 2008. She was 92 years old. Colin Singleton, former child prodigy, is attracted to girls named Katherine. Unfortunately, he's also been dumped by every Katherine - 19 times in a row. After the latest dumping, his friend Hassan suggests a roadtrip. They end up in Gutshot, Tennessee, where Colin works on his Theorem of Underlying Katherine Predictability, which should predict the future of any relationship. He also meets Lindsey Lee Wells, who helps him with his theorem, leading to an eureka moment: that the future is infinite, unknowable, and beautiful. Colin's anagrams (his special talent), quirky footnotes, and mathematical graphs (explained in the appendix) make for a funny, entertaining read. It is 1919, and Rifka's family is leaving Russia for America. They are Jewish and want to avoid further persecution from the Russian soldiers. But in Poland, Rifka is prevented from emigrating because she's contracted ringworm. Fortunately, she is helped by members of the Hebrew Immigrant Aid Society. They send her to Belgium for treatment while her parents and brothers sail for New York City. Although lonely and scared, she warms to the kindness of the Belgian people, gaining courage to face her adversities - losing her hair, surviving a storm at sea, and being stranded on Ellis Island and threatened with deportation. Rifka tells her story in a series of letters written to her cousin Tovah, still in Russia. She writes the letters in the margins of a book of poetry by Alexander Pushkin. Excerpts from Pushkin's poems preface each letter, foreshadowing the action that is to come. The verses draw the reader into a heartfelt, memorable story. Would you rather know what's going to happen? Or not know? For Claire, the summer is full of promise and anticipation because she's starting college in seven weeks. For her younger sister Natalie, it's a time for friends and summer jobs, but nothing terribly exciting. Then everything changes in an instant. Claire is seriously injured in an accident. Natalie and her parents hope for a miracle, but what if Claire never wakes up? What would you do? 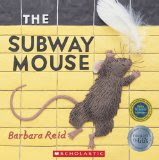 Best known for her series of picture books starring Stella and Sam, she has also written the novels Travels with My Family and On the Road Again! More Travels with My Family. Both books are popular summer reads; perfect for anyone who's ever been on family road trips or taken vacations in foreign lands. As always, her books are filled with vibrant, funny illustrations. Her books are often about young people dealing with sad or unusual situations, surrounded by eccentric relatives. But these aunts and uncles, despite their flaws, offer the comfort, security, and love that immediate families sometimes lack. Horvath's books are always memorable and worth reading again and again. Her books are filled with love and spirituality, told with intelligence and thoughtfulness that stay with you long after you have read them. A librarian, Sarah Ellis has written many award-winning books, with plots and themes that young readers can relate to. He writes well, and has a good sense of humour. His picture books are especially good, always with just the right words. He has also been fortunate to be paired with excellent illustrators who perfectly complement his text. Scrimger is best known for The Nose from Jupiter, but he's also written some very interesting novels. For example, From Charlie's Point of View has a visually-impaired protagonist trying to solve a mystery. Also read Into the Ravine (three boys go on a rafting trip) and Me & Death: An Afterlife Adventure. I don't read a lot of science fiction, but when I do, I like selecting books by Monica Hughes. Her name is synonymous with intriguing, intelligent plots and fully-rounded, complex characters. Her plasticine artwork is simply amazing. Her poetry is full of exuberant fun. She has also written her first novel: The Gravesavers. Oppel's fantasy and adventure books are full of action and suspense; they're sure to be made into movies.